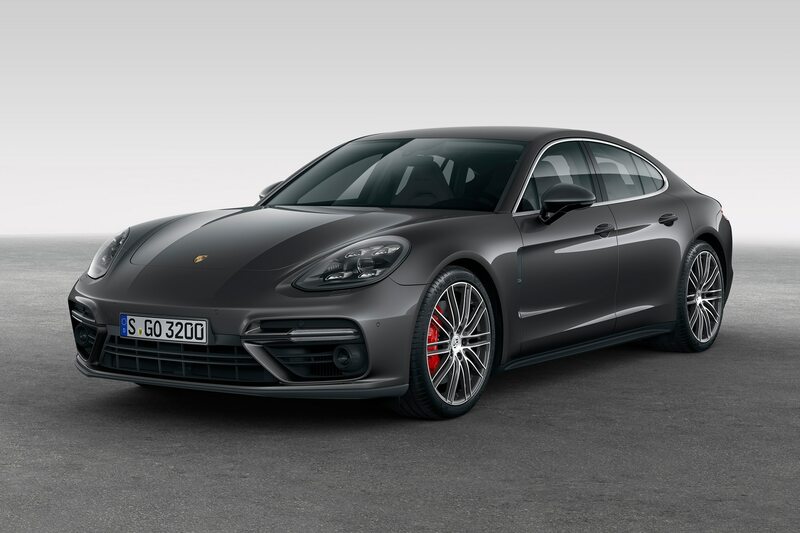 After all the teasers, spyshots, and some barely disguised mules, Porsche finally pulled the cover off the 2017 Panamera, showcasing striking good looks, a futuristic cockpit, and a pair of fresh powertrains. 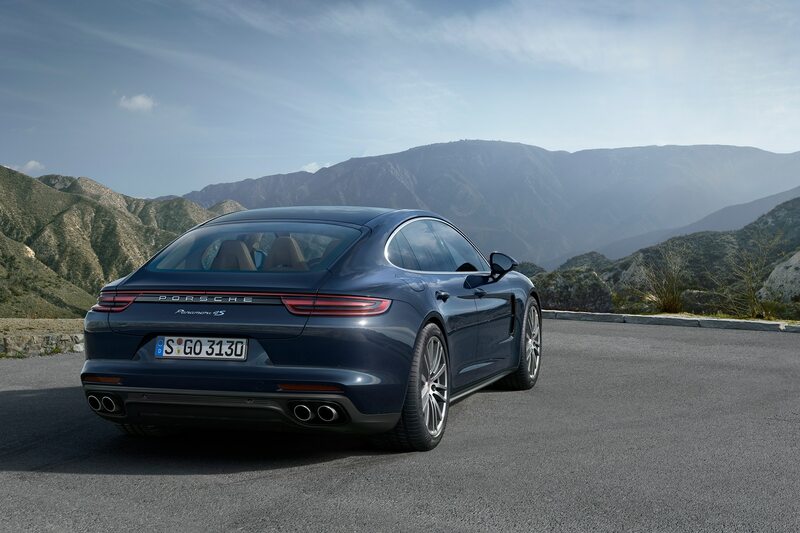 Let’s get it out of the way: The new Panamera features a prettier and more cohesive design than the previous sedan. 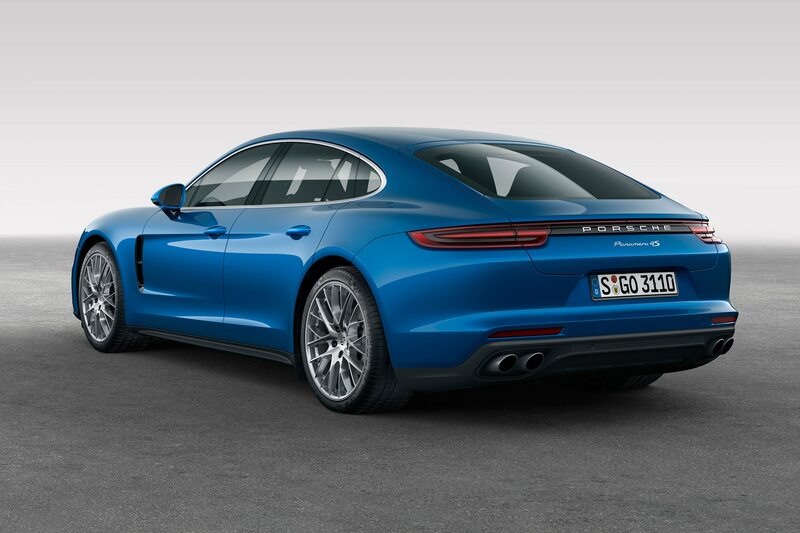 While the first-gen Panamera was dynamically spectacular, the bloated, hunchback proportions were not always handsome. 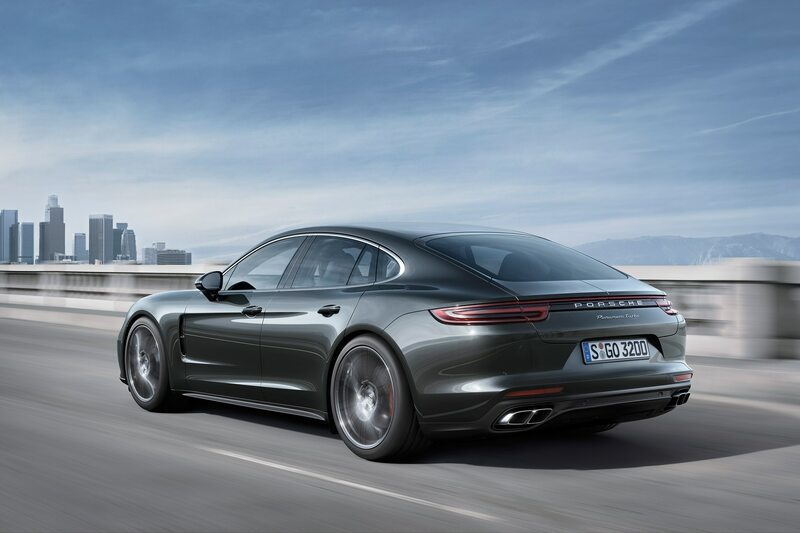 Porsche returned to the drafting table and emerged with a sinewy, taut design. The eternal 911 shape is present around the back, but not so much that it renders the shape ungainly and disproportionate. 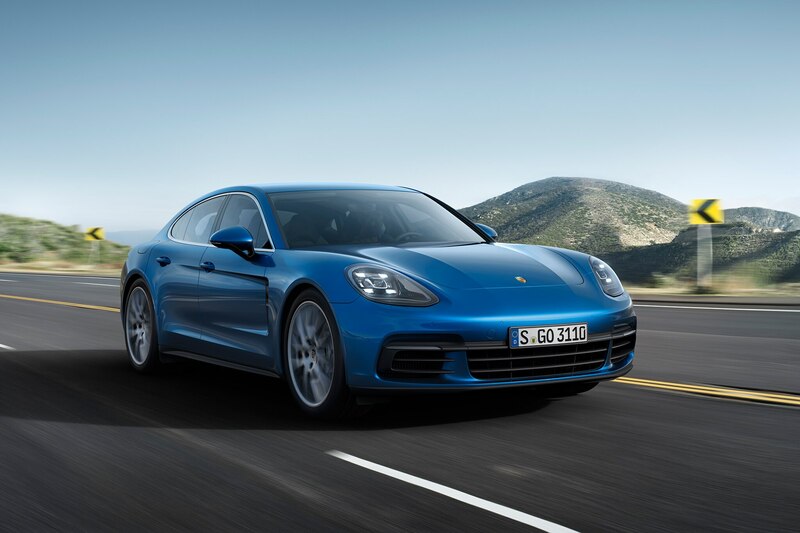 Porsche claims the 2017 Panamera is 1.3 inches longer, 0.2 inches wider, and 0.2 inches higher. 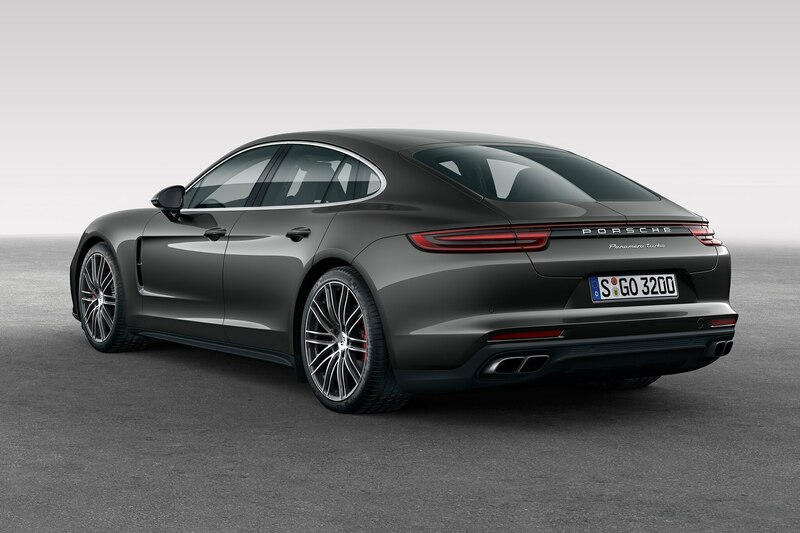 Despite this, the sedan appears lower, thanks in part to a 0.8-inch drop in the rear roofline. 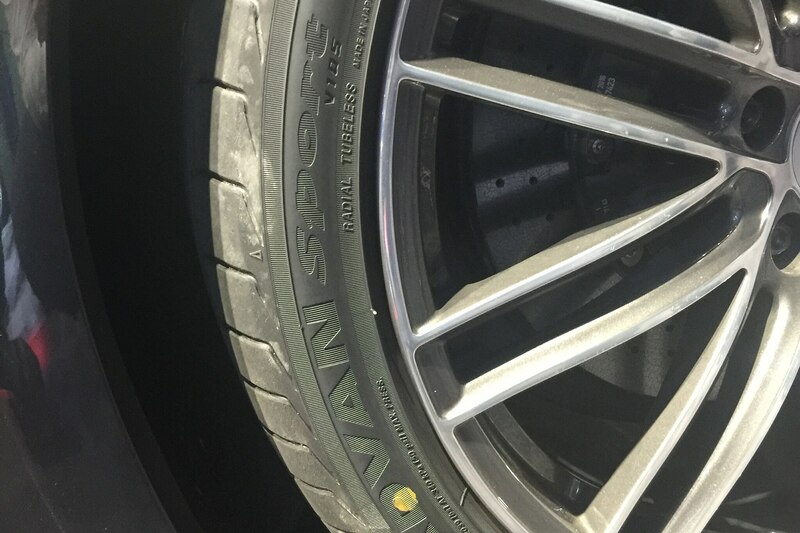 Underneath, the wheelbase stretches an extra 1.2 inches to 11.61 inches. 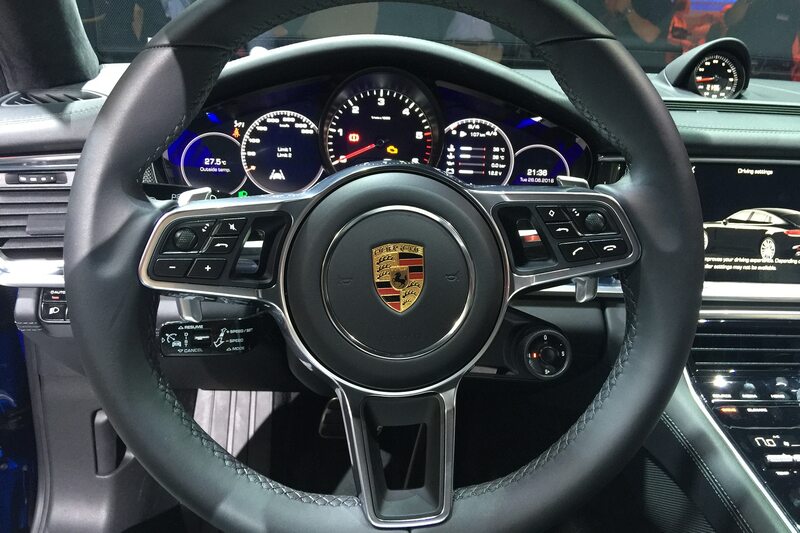 Inside, the interior takes a scoopful of cues from the sci-fi Porsche Mission E concept. 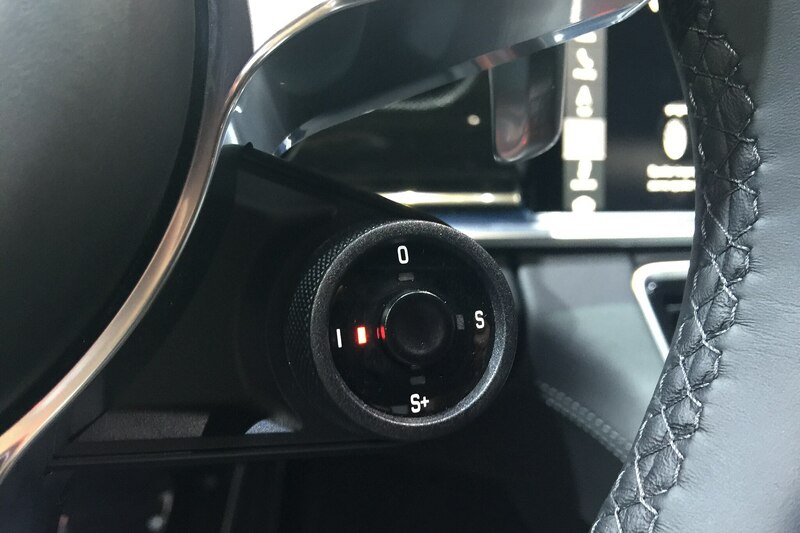 Gone is the choked tangle of buttons that plagued the first-gen. Now, a modernist array of touch-sensitive panels flanks the gear shifter, housing controls for A/C, infotainment, and vehicle settings. 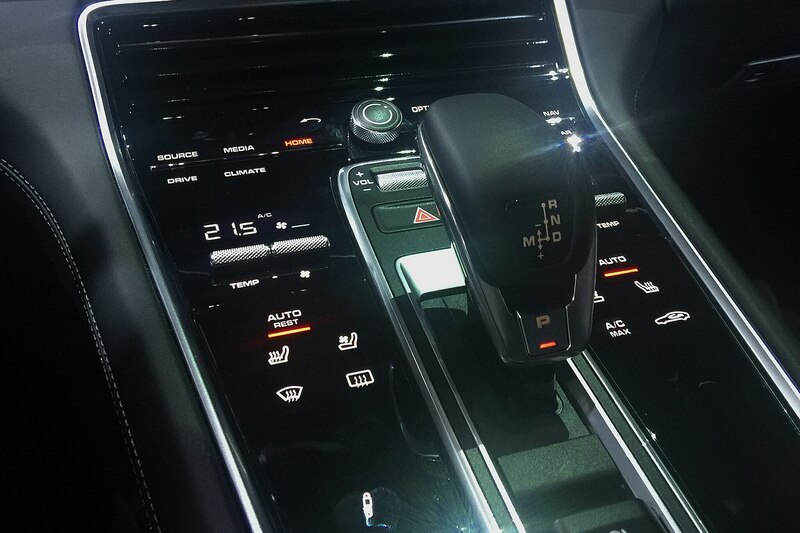 Around the rest of the cabin, it’s business as usual. 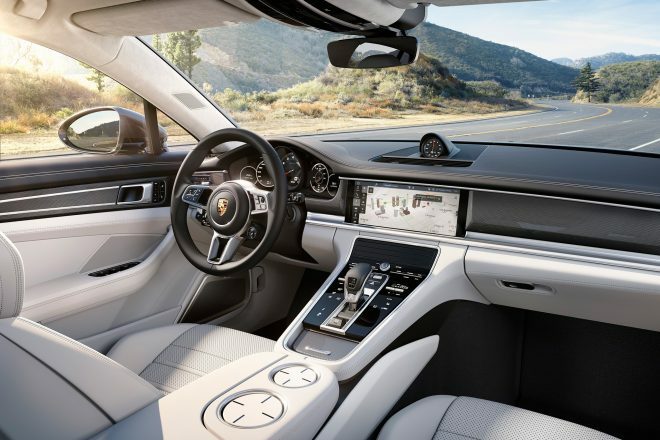 Aluminum and leather meld together on various surfaces to create a well-designed, luxurious environment that we have come to expect from the German automaker. In the center of the console rests an impressive 12.3-inch display, delivering all of the infotainment features necessary, including the all-important Apple CarPlay capability. Up front, buyers have the choice of two brand new engines, available at launch in either the Panamera Turbo or 4S. 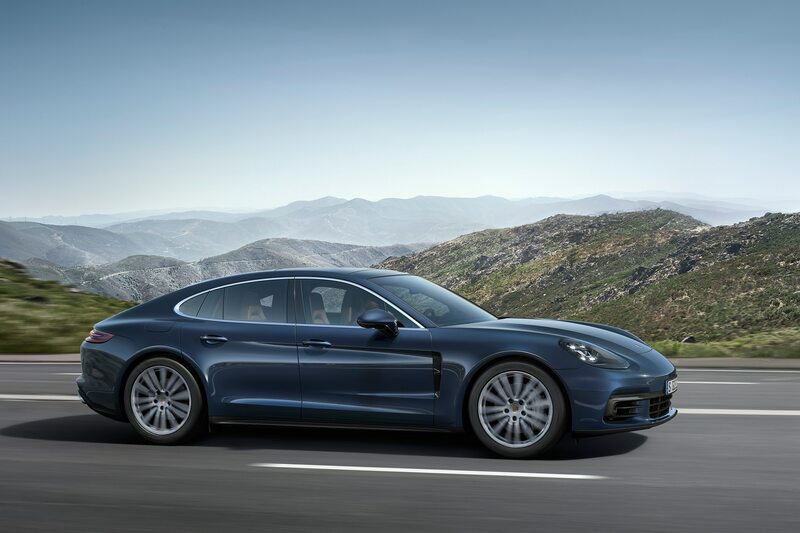 In the Panamera 4S, a 2.9-liter twin-turbo V-6 engine provides the motivation with 440 hp and 405 lb-ft of torque, a 26-hp and 18 lb-ft boost over the older 3.0-liter V-6 engine. 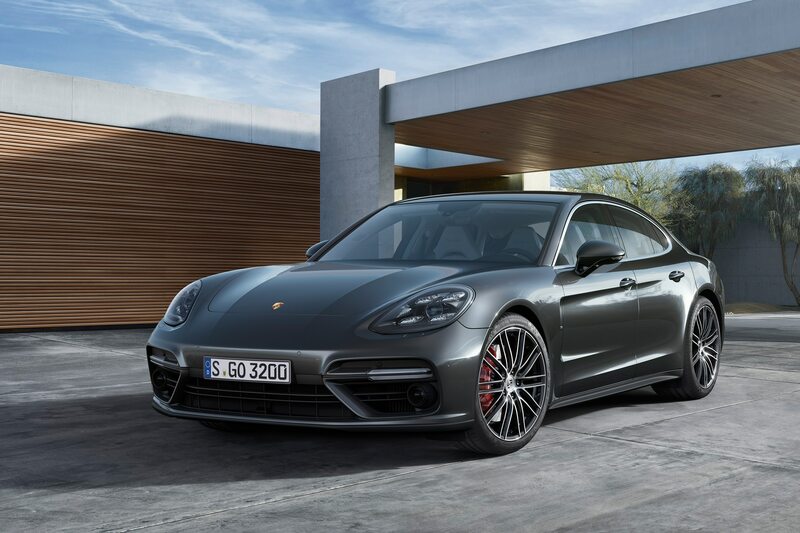 Porsche’s blindingly quick PDK dual-clutch gearbox sends power to all four wheels, resulting in a stellar 0-60 mph time of 4.2 seconds and a top speed of 180 mph with the optional Sport Chrono package. 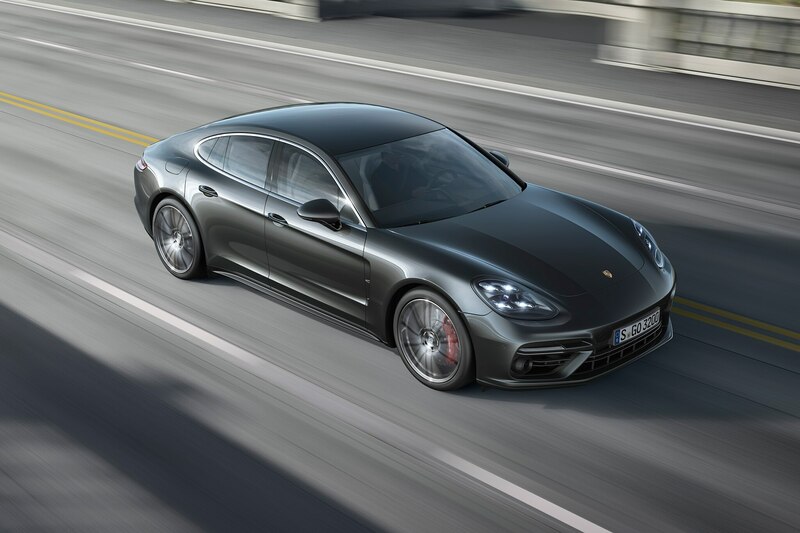 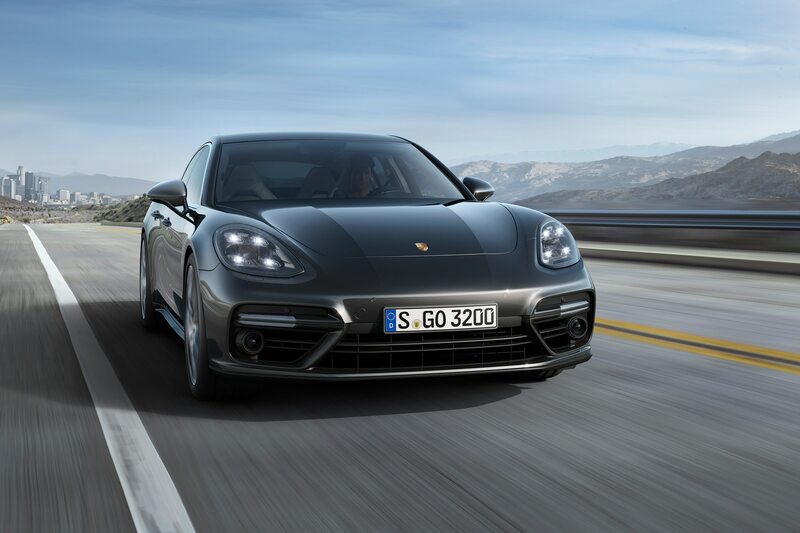 Move up to the range-topping Panamera Turbo, and an all-new 4.0-liter twin-turbo V-8 pumps out 550 hp and 567 lb-ft of torque, launching the Turbo to 60 mph in a scant 3.6 seconds and on its way to a top speed of 190 mph. 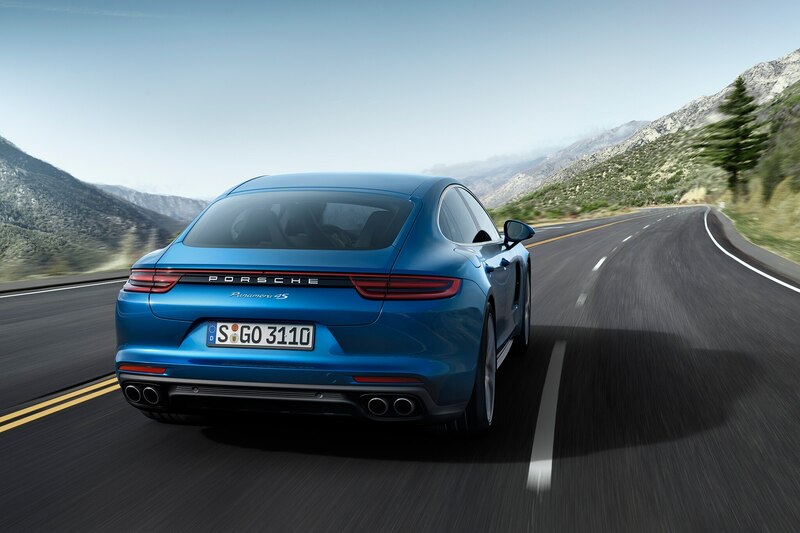 As we experienced in the past, that is likely a very conservative estimate, with real figures likely dipping to the low three-second range. 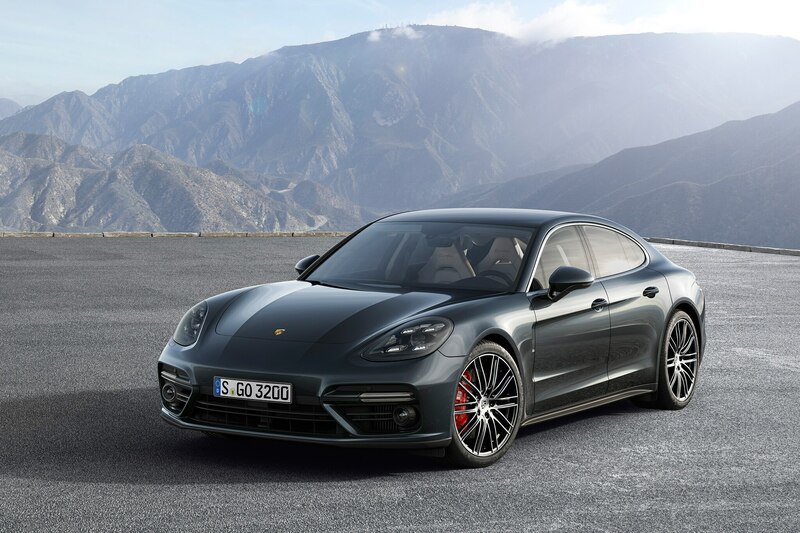 Underneath the handsome new skin, Porsche stuffed in an updated suite of driver assistance programs, including Porsche Active Suspension Management, Dynamic Chassis Control, and Torque Vectoring Plus. 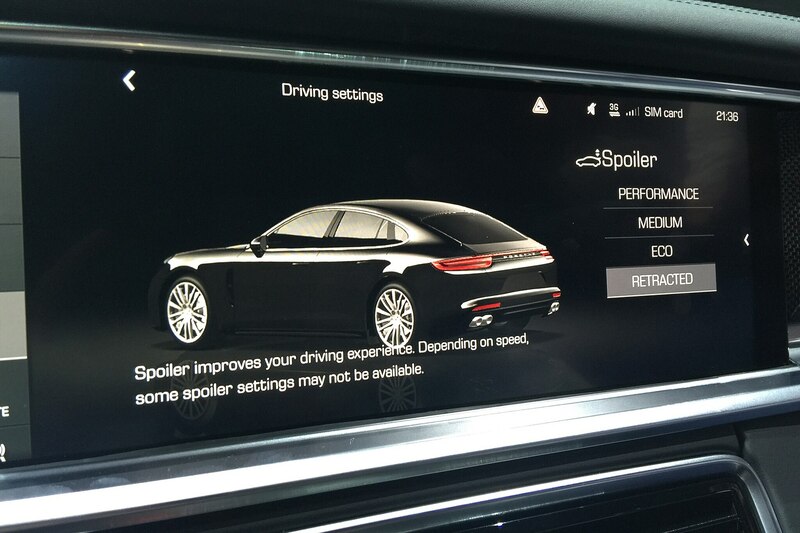 Along with the optional addition of an air suspension, the new Panamera comes with electronically assisted power steering. 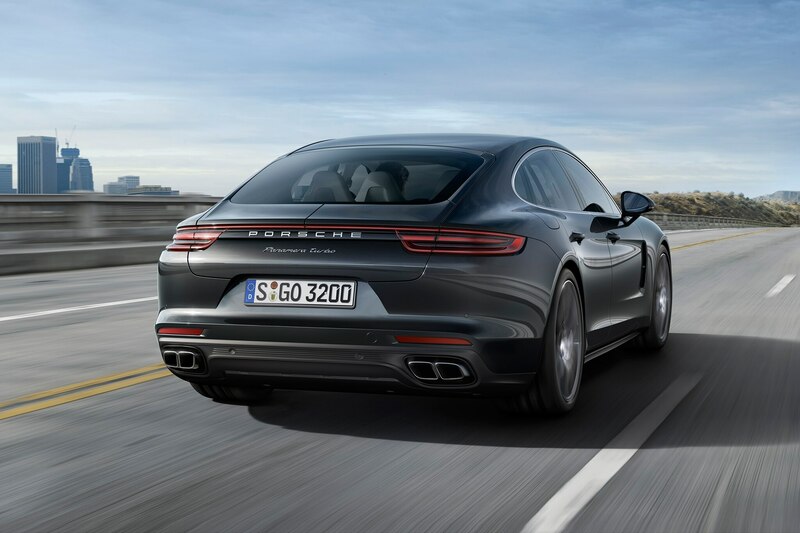 Around back, the sedan now incorporates a rear-wheel steering system similar to the setup on both the Porsche 911 and the 918 Spyder. On the Turbo, a specially designed deployable rear wing keeps things stable at high-speeds, while other Panameras receive a smaller wing. 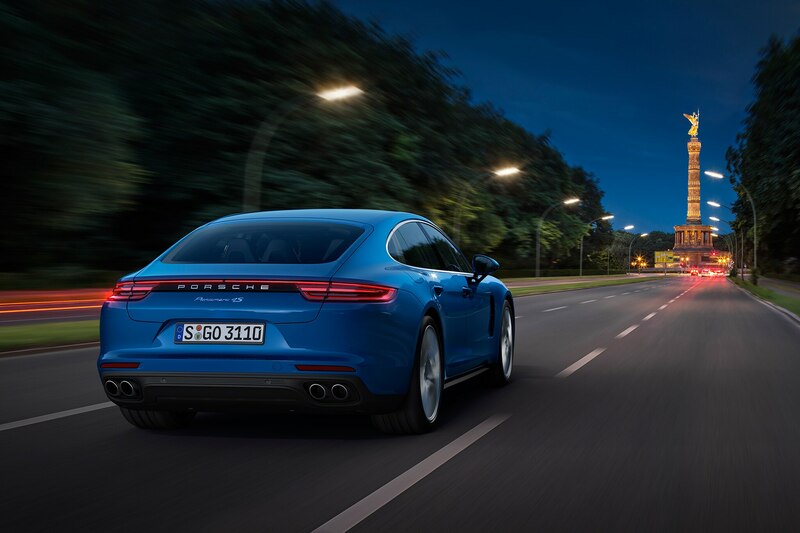 The 2017 Panamera launches Stateside in either Panamera 4S or Turbo specification. 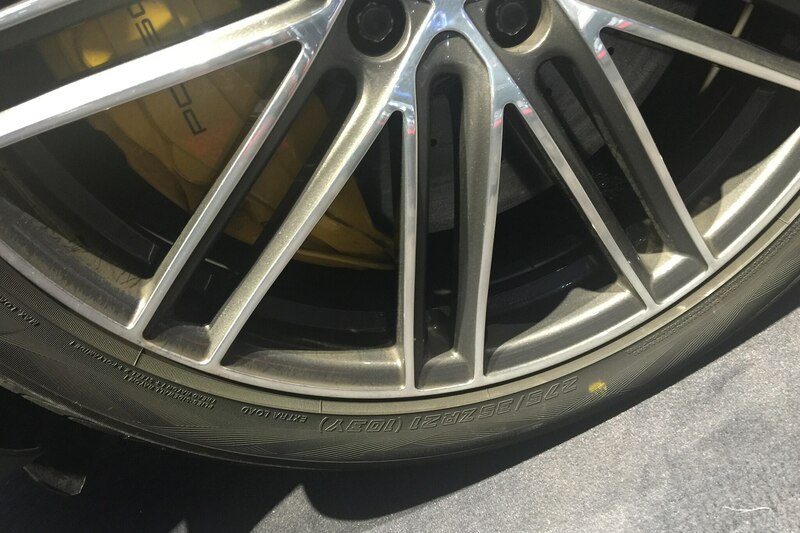 For the 4S, prices begin at $101,040. 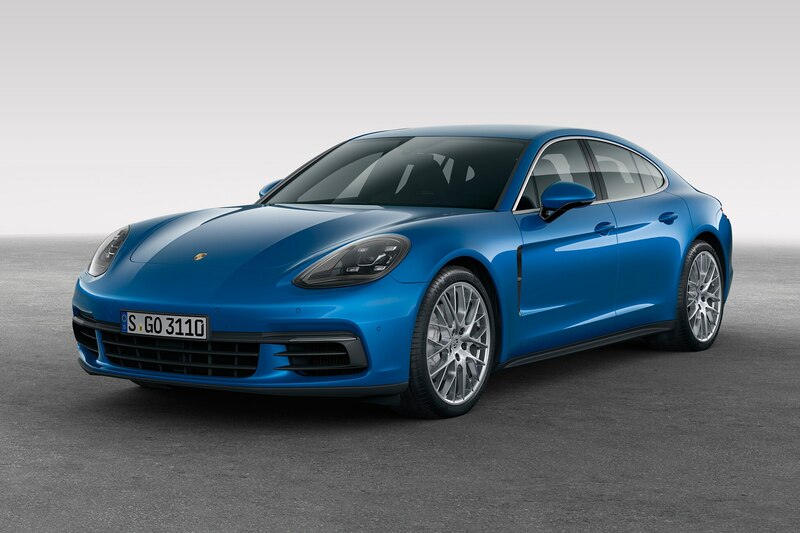 If you want the sweet, sweet V-8 power of the Turbo, prices jump to $147,950. 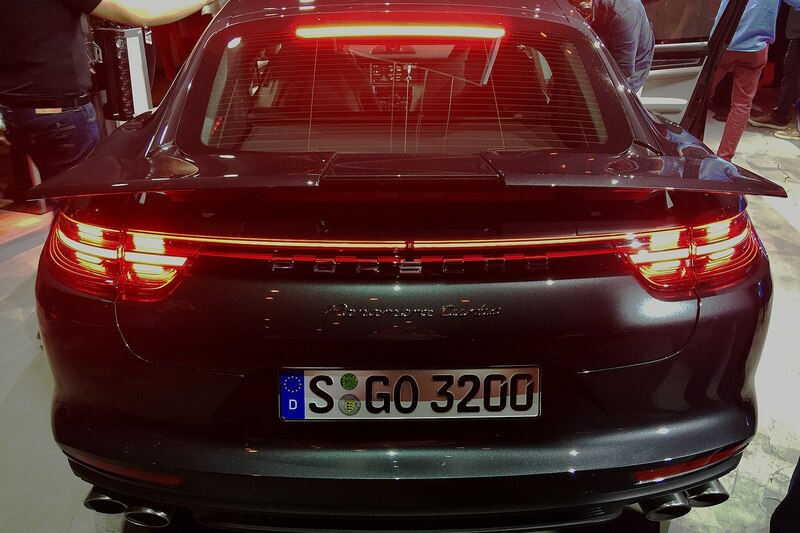 Deliveries will begin in January of next year.